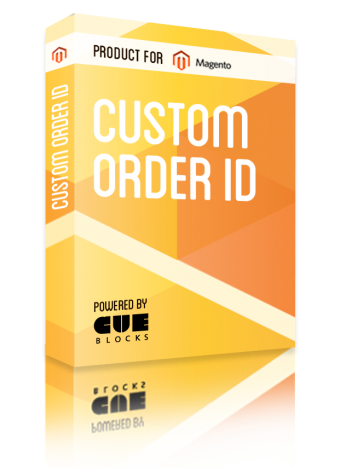 CueBlocks Custom Order ID Magento extension is a highly useful extension that enables you to customize the default order IDs in Magento into a format that is more useful to store owners. This extension is of great use for all store owners who are moving their store from an old platform (OsCommerce/ Shopify) to Magento and want to retain their original order ID formats. Custom Order ID Magento extension allows you to have a unique order ID and make discreet use of it. Although Magento by default in itself differentiates order IDs for multi-store management but it does so only on the basis of store id and restricts order ID customization. With our Magento extension, you get more flexibility in terms of parameters and modifications you want to make on your custom order IDs. Year, Month, Day, Hour, Minutes & Seconds (2 digit each) to the Order ID. You can purchase Custom Order ID magento extension for $99 at store.cueblocks.com.